As many of you are aware, Julian Whiteley's appointment as Head of School for this academic year was a transitional arrangement as part of the agreement with the UWC International Board that the 'founding head' of UWCT should have experience of having worked in a UWC. He agreed to take on the role for a minimum of one year to oversee the development of the UWC culture and, after that, until such time as a suitable person was available to succeed him. In order to maximize the opportunity of finding the right person, the School Board commenced an extensive and thorough international search for a new Head in August. We were humbled to receive applications from over 120 candidates, including many experienced current Heads of School, Directors and Principals. It is an indication of the growing reputation of UWC Thailand that we were able to attract such high calibre individuals. I am pleased to inform you that the Board was unanimous in their selection and appointment of Jason McBride to become the Head of UWC Thailand at the beginning of next academic year, 2017-18. A Canadian national, he is currently the Head of Stratford Hall, a three programme IB World School in Vancouver, Canada. Jason, who is pursuing his Doctorate in Educational Leadership and Administration, began his teaching career in Canada before moving to Mexico, England and most recently the UAE. In the UAE, he was the founding Principal of GEMS American Academy, Abu Dhabi, and also the Head of School of GEMS World Academy, Dubai, another IB World School. The Board was particularly impressed by Jason's breadth of experience and alignment with the UWC philosophy. Importantly, he is a visionary and charismatic leader, bringing a passion to his work that is evident to all that meet him. The Board is aware of the need to provide a period of stability and continuity in the School Leadership. To that end, Jason has committed to being the Head of School for at least 5 years as UWCT grows and develops. Julian will stay on the School Board and be available to support Jason in any way necessary to ensure a smooth transition. I am sure you will join us in congratulating Jason, and in due course welcoming him, his wife Samantha, and two girls, Paige (6) and Sienna (5) to Thailand. May I finish by expressing my thanks to all the students, parents and staff who participated in the selection process. UWC Thailand became the 16th member of the United World College movement on 1 August 2016. 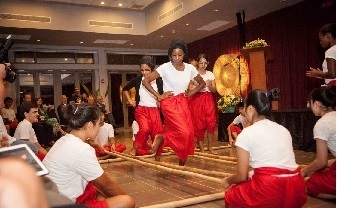 The School, previously known as Phuket International Academy, has a growing reputation for delivering a holistic education that emphasises all aspects of personal development, in particular social and emotional learning and mindfulness. The Board are now seeking an exceptional individual who will lead the next stage of this ambitious multicultural school’s growth. The next head will be charged with ensuring that the School continues to grow as a dynamic and inspiring learning community and the UWC ethos pervades the campus. 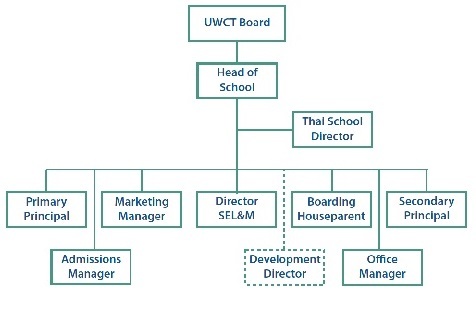 The Board aspires for UWC Thailand (UWCT) to become a leading school in Thailand and the region. The head will be expected to lead by example as we strive to achieve this ambition. 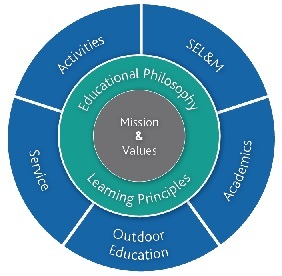 There is an extremely talented staff who are all committed to the philosophy of this mission-driven school. "The goal of our educational movement is not simply to produce educated young people but also to nurture activists for peace and future leaders who can help resolve the challenges within their own societies and contribute to building bridges between communities and cultures within their regions and throughout the world." Educating over 12,000 students between the ages of 4 and 19, UWC now has 16 schools and colleges around the globe, each with its own distinctive character but sharing the same mission, vision and values. Kurt Hahn’s philosophy of education is encapsulated in the phrase Plus et en vous – there is more in you (than you think). 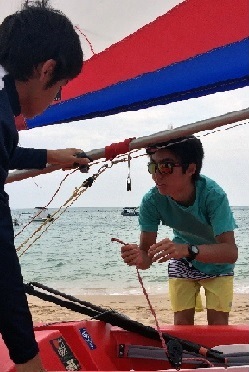 Each year in excess of 1,000 students are selected by committees based in over 150 countries - including Thailand - and awarded needs-based scholarships to attend one of the UWCs. UWC is committed to ensuring that as many students as possible experience the unique educational opportunities the movement provides regardless of socioeconomic, cultural, racial and religious backgrounds and experience or national provenance. The aim is to create a deliberately diverse community in each school that represents a microcosm of the world, thus fostering international and intercultural understanding. By bringing together such a diverse group of engaged and motivated young people from across the globe, UWC is able to provide a transformational educational experience that no other schools can provide. During their time together in this truly multicultural environment, students develop an understanding of the variety and complexity of issues facing the world and leave prepared, and committed, to becoming positive change agents. 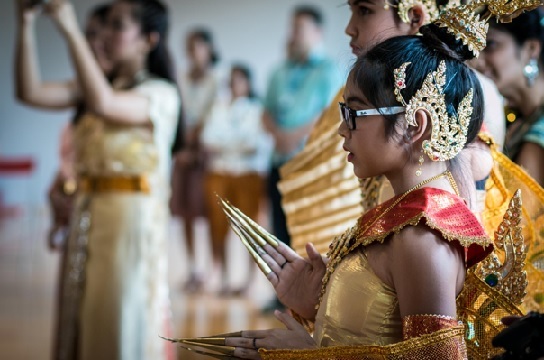 At UWC Thailand, students will also gain a knowledge and appreciation of Thai language and culture, enabling them to act as ambassadors for the country. UWC Thailand is situated in the north eastern part of Phuket, in the foothills of the Khao Phra Thaeo National Park. It is 13km from the international airport that has direct flights to most major cities in Asia and some in the Middle East and Europe. 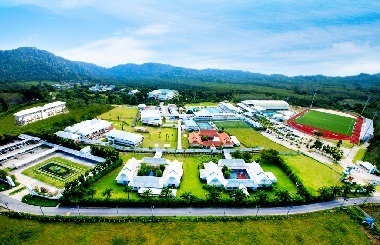 The School is a not-for-profit school founded in 2008 as Phuket International Academy. At the core of the School’s philosophy is the belief that a true holistic education is one in which the heart, mind and body are all nurtured. The intention is that a rich academic programme, service, physical well-being and mindfulness should be central components of the School. The concept manifests itself physically in the co-location of the School with Thanyapura which has a mind centre, an integrated health centre, and world-class sporting facilities. The synergies achieved elevate and complement one another. Currently, the School has 380 students from Kindergarten to Grade 12, from over 50 different nationalities, and it is anticipated that it will reach its capacity of 850 by 2025. 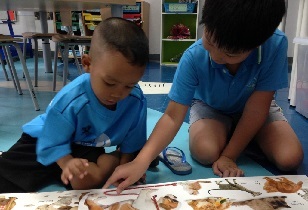 Of the 4,500 schools and colleges worldwide that offer IB programmes, it is one of only 300 schools that have committed to the continuum of programmes: Primary Years Programme (PYP), Middle Years Programme (MYP) and Diploma Programme (DP). The first students graduated with their IB Diplomas in May 2016 achieving an average points score of 32.5. On the basis of their current performance it is anticipated that the Class of 2017 will average 33-35 points. The school was accredited by the Council of International Schools (CIS) in January 2016 and is a member of the East Asia Regional Council of Schools (EARCOS). There is a boarding community of 58 students including the first cohort of 30 UWC National Committee selected scholars in G11. peace and a sustainable future. UWCT will be an example to the world of a transformational learning community rooted in compassionate action. UWCT is founded on the fundamental principle of providing a caring, supportive and joyful environment for all members of the community so that they grow as individuals: the well-being of each and every individual is seen as both a personal and a collective responsibility. The School views the understanding of our minds, our bodies and our emotions as a key life skill, fostering the development of students by tending to both intrapersonal awareness and interpersonal sensitivity in order to create a positive school culture. UWCT’s aim is to cultivate genuine happiness. In an increasingly interdependent world, the students should treat others and the planet with respect, kindness and consideration, helping even in the smallest of ways. The concept of developing the whole person is deeply embedded in the School culture and to achieve this aim, the School offers a holistic educational programme that encompasses academics, social and emotional learning and mindfulness, service, outdoor education and activities. Learning from the process is at the heart of the philosophy of experiential learning. The School is committed to making learning engaging and meaningful for all. Through experiential education, students purposefully engage in direct inquiry and focused reflection in order to increase their knowledge, enhance conceptual understanding, develop skills and clarify values. The process engages learners, often in collaborative situations, in critical thinking, problem solving and decision making in contexts that are personally relevant to them. An ambitious programme of this kind, that encompasses intellectual, spiritual, and physical challenges cannot be confined to the classroom or, indeed, the school campus. UWCT actively promotes outdoor education providing authentic opportunities for the students to bond together as they interact with the world around them. Each grade from G1-11 participates in developmentally appropriate expeditions. 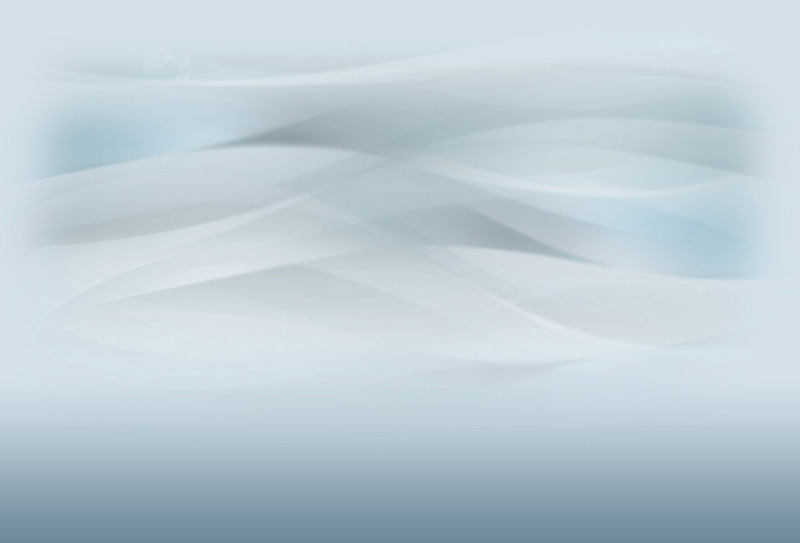 Service has a central place within our philosophy. Service provides us with opportunities to put into practice our values on a daily basis, to learn about ourselves and the society we live in, fostering empathy, and encouraging our community to become attuned to the needs of others and the planet. Through an open-minded and thoughtful approach to education, the school aims to develop international and intercultural understanding. The community are actively encouraged to engage in and reflect upon discussions across profound differences – locally, regionally and globally – to develop an appreciation of others perspectives. In so doing, they gain an understanding of the diversity that exists within the world but also our common humanity. By providing opportunities, the students are encouraged to extend the boundaries of their experience, embracing new challenges. It is essential that all students experience success, allowing them to flourish and develop their self-confidence. It is also understood that failure is a crucial part of the learning experience. In a supportive and caring environment students learn to persevere, developing resilience and a growth mindset. In preparing the students for their futures, as they grow older they are provided with greater autonomy giving them increased opportunity for negotiation and self-determination. In so doing, an environment is created in which students become self-motivated and develop a positive attitude towards learning. UWC Thailand is a not-for-profit organisation. The role of the Board of Governors is to set direction, establish policies, ensure accountability and provide leadership to improve the learning environment of the students at the School. They are not involved in the day-to-day management of the School. As determined by the Private Education Act 2007, the Board consists of 8 people including the Thai School Director, a parent representative, a teacher representative and five ‘experts’. Apart from the School Director who is ‘ex officio’, all other members of the Board are nominated for three-year terms. The school leadership work together in a collaborative manner to ensure the students are enjoying the best possible educational experience every day. The leadership team meet on a weekly basis. It is anticipated that a Development Director will be appointed within the next two years to assist with fundraising. The School employs 48 teaching staff. All hold teaching qualifications, and many also have a higher degree in their specialist subject. While the majority of teachers are from Australia, New Zealand, the UK and North America, 15 nationalities are represented across the teaching staff. Most teachers have had experience of working in international schools before joining UWCT. The teaching staff at UWCT are enthusiastic in facilitating the highest level of academic excellence for students and in their contributions to the broader educational programme. Teachers are expected to contribute wholeheartedly to the vision and ethos of the School. All teachers participate in the Activities and Service programmes; many are involved in the trips and expeditions organised each year. Staff are highly motivated and are encouraged to use their initiative to drive the organisation forward – a ‘can do’ attitude permeates throughout the school. 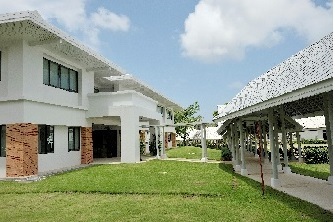 The School occupies a spacious site in a quiet and attractive part of Phuket. Since the founding of the school in 2008, facilities have been added as and when required. A classroom block for the Secondary School is scheduled for completion by August 2018. This will contain additional science laboratories, art rooms, classrooms and a ‘black box’ theatre. All classrooms are equipped with data projectors and Wi-Fi as the norm. The School has adopted a 1:1 laptop computer scheme in Grades 5 and above, using Apple technology. Whilst there is a multipurpose hall, small gymnasium, basketball court and futsal pitch, the school has access to the world-class sporting facilities at Thanyapura. These consist of a 25m and 50m pool, several gyms, tennis courts, an astro-turf football pitch and running track. A boarding house for 56 students was opened in 2014 and a second, with accommodation for 58 students is due to be completed by August 2018. Plans are in place for two further boarding houses to be added as demand dictates. In keeping with the UWC ethos, all new buildings will be constructed to be energy efficient and have disability access. leadership and management in a quality school including both primary and secondary sections. experience of the international education sector, preferably in a K-12 school. the ability to understand people from different cultures and engage with them effectively. The salary will be highly competitive and will depend on the qualifications and experience of the successful candidate. Benefits include tuition at UWCT for school age children, housing (allowance) and car, health insurance, beginning and end of contract flights to home of record and limited shipment of personal effects. Salary considerations will be detailed during the interview process. UWCT has engaged the services of Search Associates to assist with the recruitment of the new head of school with Barry Drake acting as the lead consultant. The deadline for applications is 14 October, 2016. Candidates are asked to submit their applications as early as possible as the Search Committee reserves the right to close the selection process at any time if the right candidate is found. The review of files will begin as soon as applications are received. Skype video interviews of candidates will take place on a rolling basis and might be scheduled for selected candidates soon after their application is received by the Search Committee. Site visits for short-listed candidates with their spouse, if applicable, could take place in early November 2016. The new Head of School will be selected immediately after the interviews of the short-listed candidates have been completed but no later than December. the names, current phone numbers and email addresses of three referees.